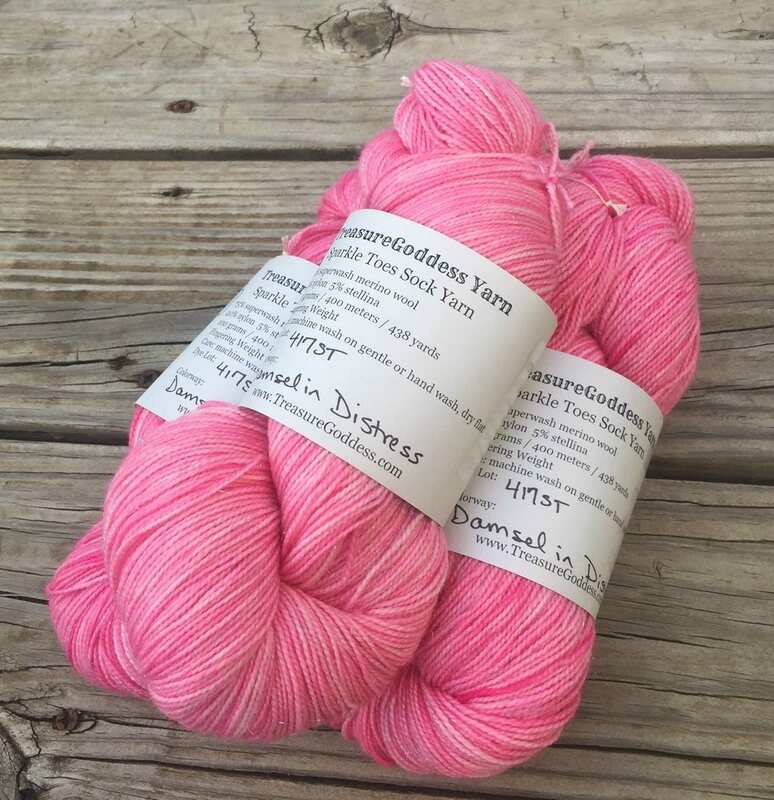 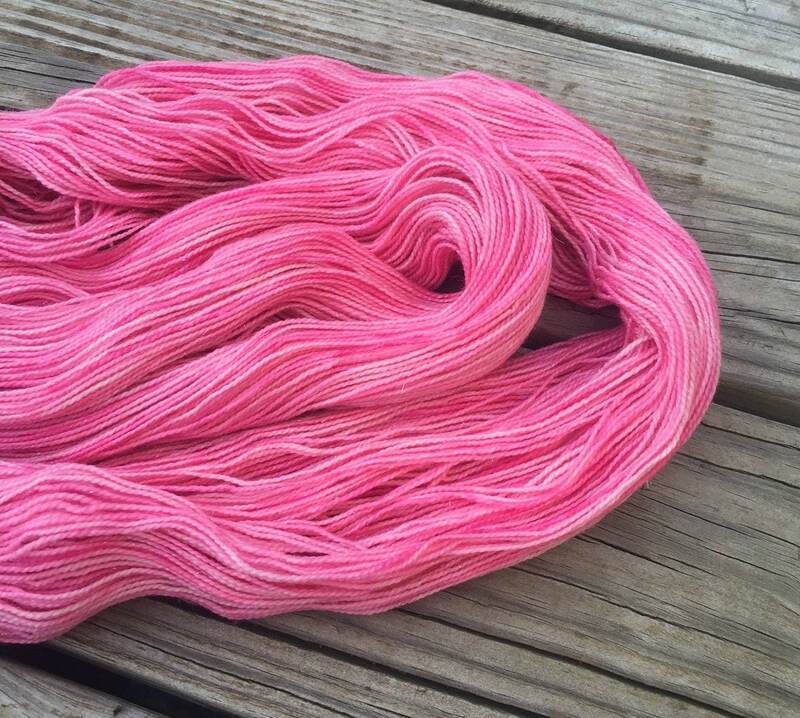 I dyed this yarn with professional acid dyes in colors of bubblegum pink, from pale baby pink to intense hot pinks here and there too! 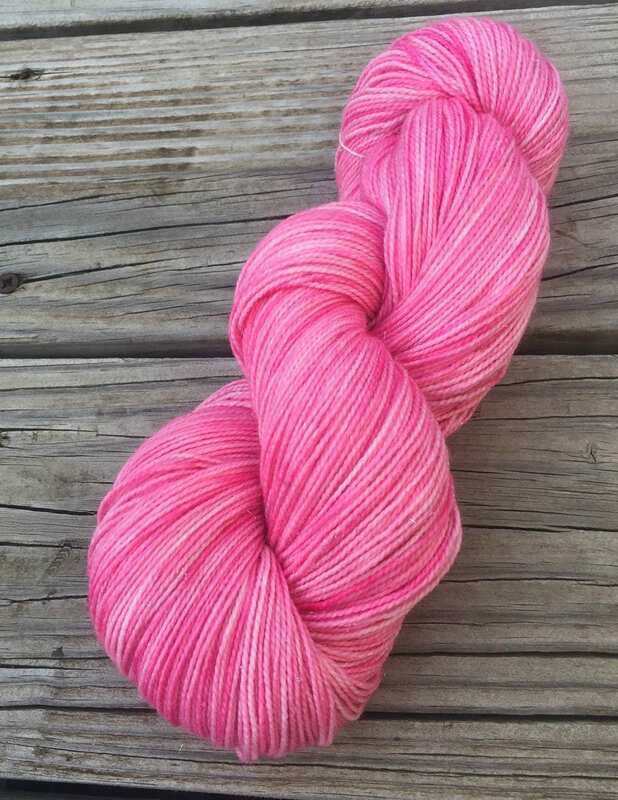 This is the perfect pink that a beautiful young lady would be wearing, which would attract pirates to kidnap her, becoming a damsel in distress, awaiting rescue. 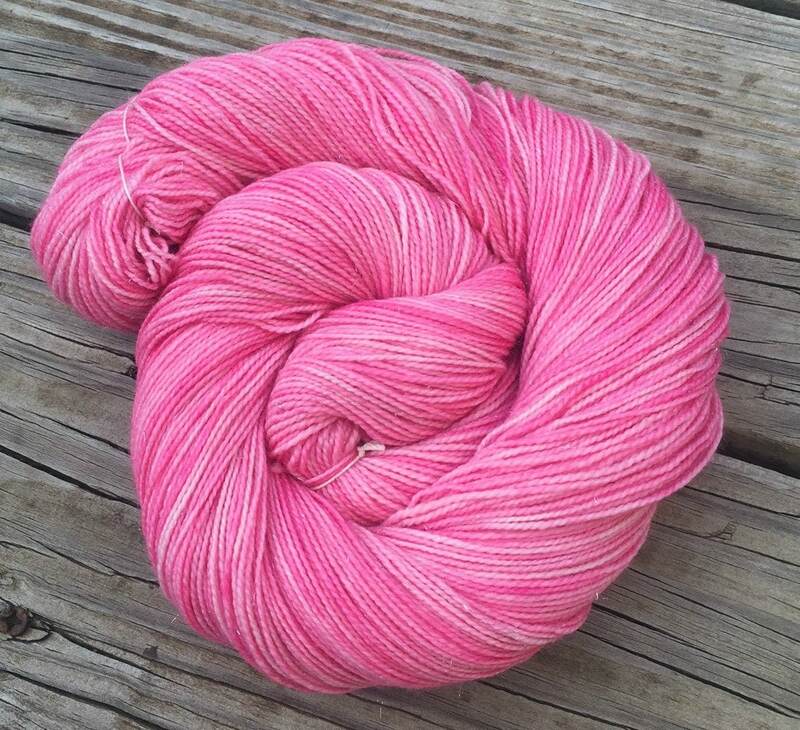 SO PINK and SO SPARKLY! 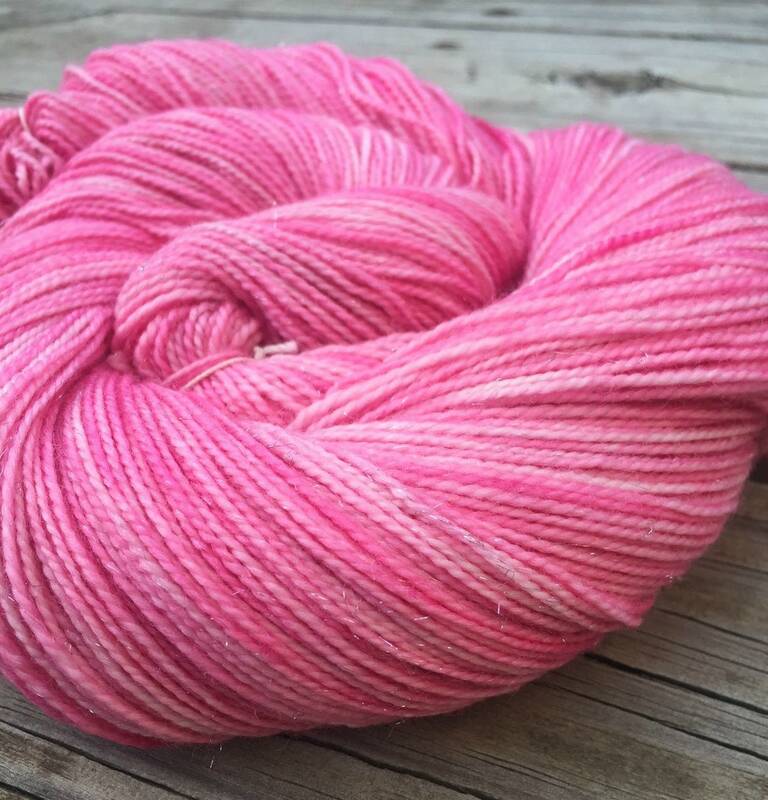 Four skeins from one dye lot and 2 from another.